Rent apartments and houses in Argyll and Bute, Scotland. Book affordable holiday rentals that are near a beach and golf course. This 4 bedroom house is located in Awe and sleeps 8 people. It has WiFi, a garden and barbeque facilities. The house is within walking distance of a beach. This 2 bedroom house is located in Ardconnel - Kilmore and sleeps 4 people. It has WiFi, a garden and parking nearby. The house is within walking distance of a beach. This 2 bedroom house is located in Ardconnel - Kilmore and sleeps 4 people. It has barbeque facilities, parking nearby and a gym. The house is within walking distance of a beach. This 4 bedroom house is located in Awe and sleeps 8 people. It has WiFi, a garden and barbeque facilities. This 2 bedroom house is located in Ardconnel - Kilmore and sleeps 4 people. It has WiFi, parking nearby and a gym. The house is near a beach. This 3 bedroom house is located in Ardconnel - Kilmore and sleeps 6 people. It has WiFi, parking nearby and a gym. The house is near a beach. This 3 bedroom apartment is located in Oban North and sleeps 5 people. It has WiFi, parking nearby and a gym. The apartment is within walking distance of a beach. This 5 bedroom house is located in Ardconnel - Kilmore and sleeps 10 people. It has a garden, barbeque facilities and parking nearby. This 3 bedroom house is located in North Lorn and sleeps 6 people. It has WiFi, a garden and barbeque facilities. Loch Lomond Manor is a unique historic National Monuments house constructed between 1901 and 1902. It was built by a husband and wife team. NEW & EXCLUSIVE TO OLIVER'S TRAVELS – 2018 The stunning Holy Loch Manor can be found within the scenic village of. Sequoia House holds an enviable location on the banks of Loch Lomond, nestled in woodlands that boast one of the tallest Sequoias in Scotland. Argyll Country House nestles on a hillside in seven acres of peaceful grounds on the west side of the Kintyre Peninsula in Argyll, easily accessible by air, boat or road. 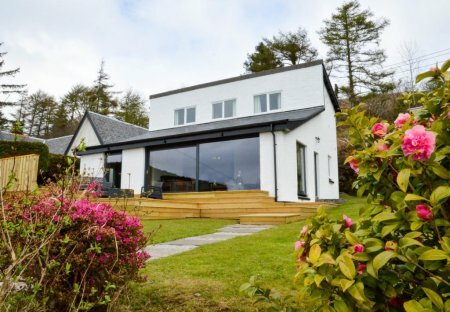 Arrochar House boasts a marvellous location on the banks of Loch Lomond, situated close to the popular villages of Arrochar, Tarbet and Luss. The secluded and historic Ardlamont Estate is positioned within 460 acres of unspoilt woodland and benefits from its own private beach. Loch Lomond Cottage II is located just a short distance from the banks of Loch Lomond, it makes the ultimate holiday home for a family looking to explore one of the most beautiful areas in Scotland. 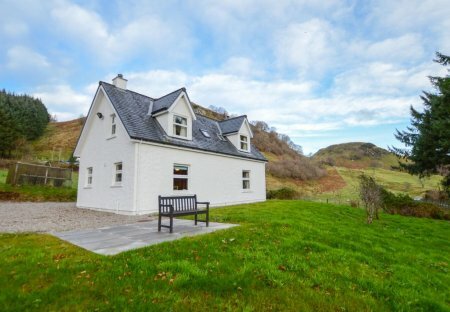 Loch Lomond Cottage I is situated just a stone's throw from the banks of Loch Lomond, it makes the perfect holiday home for a family looking to enjoy one of the most picturesque areas in Scotland.